Drunk or high residents on the wrong side of the law next year will get an option: go to jail or sleep it off. It amounts to deciding whether to walk away with no charges or leave with a criminal record. A long-sought inebriate program for Tulsa is coming next year after Mayor G.T. Bynum included the program in his budget proposal to the Tulsa City Council. Bynum said when a facility will open and how much it costs depends on forming an agreement for a local nonprofit to operate it. 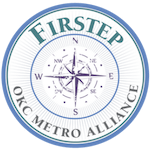 The program is to be modeled after Oklahoma City’s Public Inebriate Alternative, which has operated largely unchanged for more than 40 years, according to program director Shilmila White. The way it works is that inebriated, misdemeanor offenders — those who don’t fall under state-law charges such as driving under the influence or drug possession — can be given an alternative to jail. White said the facility has one worker on duty for three, eight-hour shifts every day. The worker can refuse anyone who appears aggressive or uncooperative, and anyone who gets out of hand after police leave may be taken to jail. The major rule is that the person who takes the inebriate alternative has to stay for 10 hours. About a week ago, White had a person in the program who had their father’s funeral the next day within the 10-hour span. Military duty, airplane tickets and even family funerals don’t change the rules with the only other option being jail, no matter the scenario. The key to the facility operating as intended in Tulsa will be in the hiring, White said. But tense situations aren’t the worst part of the job. “You want someone that understands there will be times when you have to clean up urine or vomit,” White said. Laundry rooms and bathrooms with showers are available for those in the facility, White said. Men and women have separate dorms. The men’s area in Oklahoma City has room for 30, and the women’s dorm can accommodate up to 15. White said each of the dorms is open, meaning the people locked inside can move around. If someone wants to leave before the 10 hours are up, they have to wait on police. Once their 10 hours are up, they are notified 30 minutes beforehand so they can arrange transportation. For those who don’t have a ride, White said the facility will give a three-mile voucher for a taxi. Once someone is brought to the facility, they are offered beans and cornbread in the evenings and bologna sandwiches and chips the rest of the day, White said. To drink? Just water — but they get as much of it as they want.